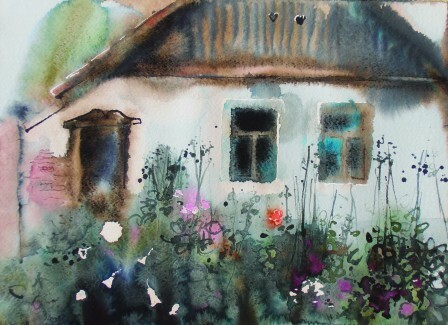 Endre Penovac’s paintings are a dramatic dialogue between the control over a craft and the chaotic energy of watercolour. 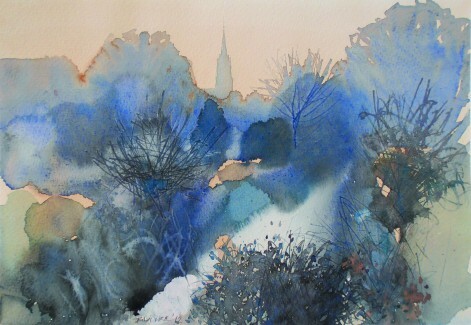 It’s like a dance between his hand and his mind that take turns leading, posing as crucial connectors to the vitality of watercolour painting. While some of his paintings are doors, others are windows – they are all portals that transport you into Endre Penovac’s world of colour. The honest presentation of Penovac’s world through his bold colours, fluid ink and expert brushstrokes have become his own trade mark as an artist. His illustrations are nothing short of an alternate existence in response to a dominant narrative of life that surrounds. Using materials in a direct and simple way, he keeps his pieces broad and non-objective allowing the viewer to bring in his own interpretation drawn from his experience. The extraordinary effect of Penovac’s paintings is achieved by diluting ink and watercolour pigments with plenty of water and making them spread across paper on their own. As easy as it sounds, the paint can be quite difficult to control. 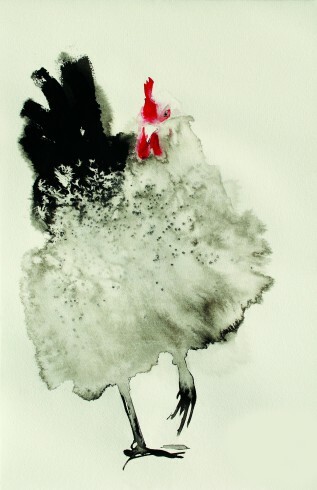 It seems that Penovac uses the unpredictability of the medium he works with to his favour. In other mediums where one is responsible for every mark there is probably more control but with watercolour one is engaged in a subtle dialogue with the paint. 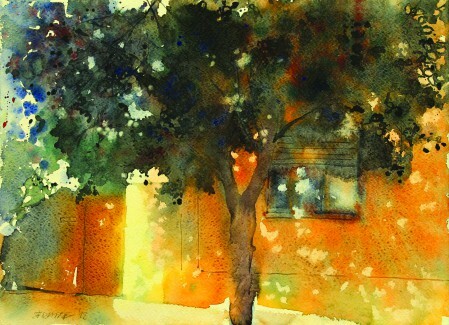 Penovac’s paintings are like a dance between his hand and his mind that take turns leading, posing as crucial connectors to the vitality of watercolour painting. 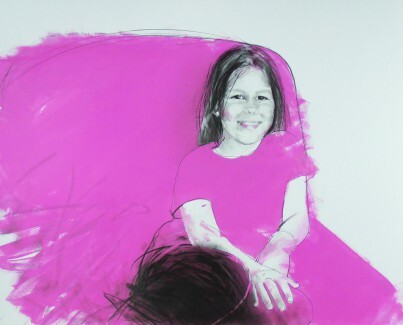 The honest presentation of Penovac’s world through his bold colours, fluid ink and expert brushstrokes have become his own trademark as an artist. In other mediums where one is responsible for every mark on the page there is probably more control but with watercolour one is engaged in a dialogue with the paint. 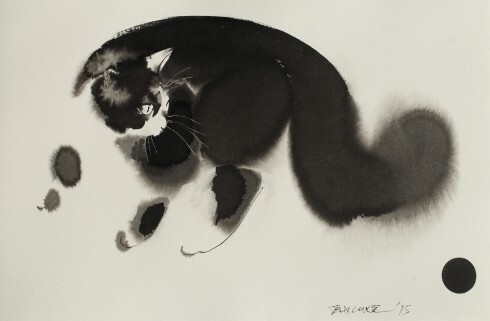 Looking at his work we recall once more that art is a representation of a personal taste and feel and no one represents this truth more so than watercolourist Endre Penovac!